We are bringing the spirit of La Tomatina to Orlando with a special Chef’s Table. 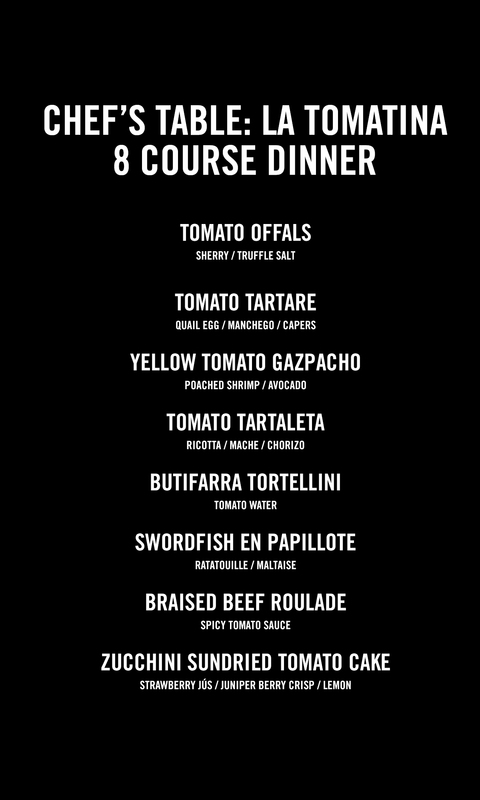 Sink your teeth into eight juicy courses – where tomatoes are the star of every dish. Enjoy the flavors of La Tomatina, without any of the mess. Complimentary wine pairings are included with your meal. Don’t miss this one-of-a-kind Chef’s Table! Tapa Toro is located in the ICON Orlando complex – just steps from Orlando’s observation wheel. Complimentary valet parking and self parking are available.